If you have found your way here, it’s likely because you, someone in your life, or individuals/groups you work with are navigating important life transitions. Whether you are moving half-way across the globe, considering a career change or moving on from a relationship while abroad, it is my firm belief that, with the right tools and supports, any move can be a great move. A seasoned expat, researcher and writer, in 2018 I followed my passion and published my book, A Great Move: Surviving and Thriving in Your Expat Assignment. I launched this website to provide a hub of information and resources for expats going through transition and the organizations and service-providers who support them. Along with writing and blogging, I provide transition coaching services to expats and globally mobile professionals at various stages of their great moves. I also work with and partner with employers, HR solutions providers, relocation services and many other organizations in the expat ecosystem. My services include coaching, training, custom workshops, guest writing/blogging and public speaking. As I have dedicated years to research and practice in this area, I love sharing what I know with others in the field at industry forums. 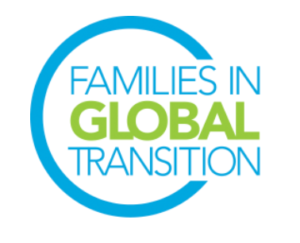 I am a co-active coach trained at the Coaches Training Institute (CTI), a member of the International Coach Federation (ICF) and a member of Families in Global Transition (FIGT). I am a researcher and policy analyst by training, with a Master’s from Harvard and a Ph.D. from the RAND Corporation. In my previous career, I worked for more than a decade as a researcher and defense analyst, in the United States and Europe. I am also a global nomad by choice. Born in Cameroon, raised in Greece and, with two decades living and working in the US and various European countries, I have experienced first-hand the rewards and challenges of a global life. I have lived in 8 cities, 7 countries and 3 continents. I have moved as a single person, as part of a couple, and as part of a family with children and have experienced both extremely successful and utterly disastrous moves. I started writing my book and, later, a personal blog, as an effort to make sense of my very different relocation experiences and to find out what helps make smooth transitions. I tried to answer questions such as: Why do we feel at home in some places, but not in others? What do we need to feel at home? How do our concepts of home change when we move across borders and cultures and how can we find home wherever we are? My coaching journey started out of my desire to help expatriates cope with many different kinds of transitions – not only international relocations, but also career change, reinvention and identity issues, relationship challenges or breakdown – resulting from a mobile lifestyle.